this day in crime history: june 13, 1966 | Nobody Move! —LOVE the DRAGNET video…Sgt. Friday as one of my heroes…because he told thigs AS THEY ARE. 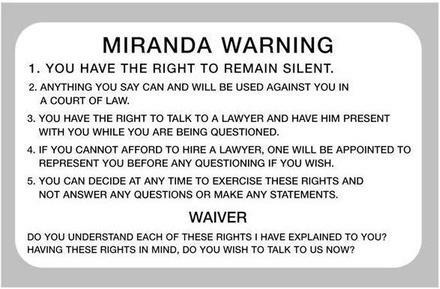 —Miranda…I’m still on the fence over this and have been for decades. It’s got good points AND bad.